No longer considered a luxury, broadband permeates nearly every aspect of life, especially education. From research to online learning to completing homework assignments, affordable internet access is an essential tool for today’s learners. Unfortunately, many rural communities lack adequate internet access, which is a problem that impedes success for students of all ages. According to the Federal Communications Commission, 31 percent of rural Americans lack broadband access. In addition, even when broadband is available, it is not always affordable where low-population densities in rural regions often translate into unacceptable return-on-investments. It is one reason why the overall adoption rate for fixed broadband service is just 66.2 percent in the U.S. With an increasing number of teachers assigning online homework, affordable broadband access is a necessity for today’s students. The short answer was ”Yes.” But the caveat was “Only with access to EBS spectrum in the requested service areas.” Once again, NMU turned to the FCC, applying for and receiving additional EBS licenses. With authorizations in hand and its 2016 migration from WiMAX to LTE service, NMU began working with local municipalities and schools. We traded the use of our wireless network for space on their existing public infrastructure (think water tanks or tall buildings) to mount our antennas. To date, NMU operates 49 LTE sites, each covering a nine-mile radius. This carrier-grade network provides high-speed, uncapped, affordable broadband internet access service to homes, schools, and community centers for education, personal and professional development throughout the region. There’s a Child Internet Protection Act (CIPA) option and each enrollee receives access to complementary “nano” learning sessions and self-directed courses that offer educational content on a variety of topics. With 15 additional communities currently under construction and a recent, state-of-the-art LTE core upgrade to 5G, the network is well on its way to long-term sustainability. Ultimately, the NMU network will cover 21,548 miles of rugged, rural terrain, connecting previously unserved and underserved communities throughout the U.P. Simply put, without EBS, NMU’s network could not have been built and subscribers throughout northern Michigan would likely have remained on the wrong side of the digital divide. Realizing this, state leaders awarded NMU a $6.5 million loan from Michigan’s Strategic Investment Fund to assist us with our ambitious construction schedule. Educators typically have the technical skills needed to construct advanced wireless broadband systems. Educators are already accustomed to building complex, on-campus data networks. By leveraging these systems and coupling them with LTE technologies, it’s possible for these institutions to successfully construct and operate mobile and fixed-wireless data networks that are cost-effective and affordable to end users. Partnerships between educators and municipalities can dramatically lower costs, leading to more affordable and sustainable broadband deployments. Many rural communities already have the essential infrastructure needed to construct LTE networks, making the need for expensive, vertical real estate overbuilds unnecessary. In communities where commercial broadband is unable to provide an acceptable return on investment, educational broadband offers a viable alternative. Educators tend to share common goals that lead to creative and innovative use of wireless broadband services. Ubiquitous community broadband, designed to meet specific student and family needs, improves student success and creates new learning opportunities for everything from early childhood education to workforce development. In the process, rural broadband deployments are accelerated, serving the public interest. None of this, of course, is possible without spectrum, the foundational building block of all wireless systems. Reserved for educational purposes for over 50 years, using EBS spectrum allows educators to tap into state-of-the-art, carrier-grade, LTE equipment that is not only affordable and readily available but, most importantly, compatible with existing consumer devices. The FCC is currently considering what happens next with EBS spectrum which it has not licensed in over 20 years. NMU’s educational broadband network proves what’s possible. Our experience validates that EBS is an effective mechanism – perhaps the most effective mechanism – to bring the promise of wireless broadband service to rural areas. This potential will be squandered unless the FCC preserves the essential educational nature of the EBS and provides priority opportunities for educators to obtain EBS licenses before holding commercial auctions that would prevent schools and universities from replicating NMU’s success. Educators nationwide, if given a green-light, can realize the chance they’ve been waiting for to construct new EBS-based wireless networks to serve learners of all ages in their communities. EBS is a resource with tremendous potential. If they are just given the chance, educators stand ready to use EBS to make a difference for their students and their communities. 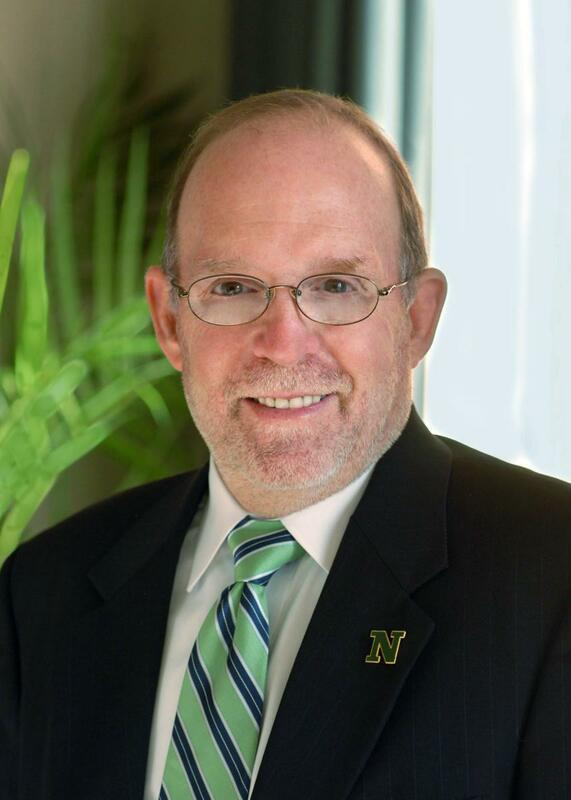 Fritz J. Erickson is President of Northern Michigan University. Prior to his tenure at NMU, Dr. Erickson served as provost and vice president for academic affairs at Ferris State University in Big Rapids. He also held administrative positions at the University of Wisconsin-Green Bay, Eastern Washington University and Michigan Technological University. Before entering higher education administration, Erickson was a professor at Millersville University of Pennsylvania.